Submit an Article or blog posts on BioChemAdda.com. BioChemAdda.com welcomes informative, non-commercial messages from guest bloggers. Submit an Article/blog posts – BioChemAdda.com focuses on scientific and commercial trends in Biotechnology/Life Sciences/Bioinformatics/Chemistry/Chemical Engineering/Pharmacy/Pharmaceutical Sciences. Your article should fit this framework. The article should be a minimum of 700-1000 words and should cover the topic in detail. We at BioChemAdda.com prefer quality as one of the primary conditions of accepting guest posts. Add images/figures/videos to convey your message (having no copyright issues). Please avoid self-references within the article. You are free to post a byline with a link to your social profile or website at the end of articles. The purpose of submitting a guest post is to help BioSciences/Chemistry aspirants to share lecture notes, news article, on-going research news articles and other quality materials from subject experts. Submitted articles should be plagiarism free. Articles will not get published if found copied from other on-line resources. To ensure your articles get posted on BioChemAdda.com, write a very original piece, which is written specifically for BioChemAdda.com followers. 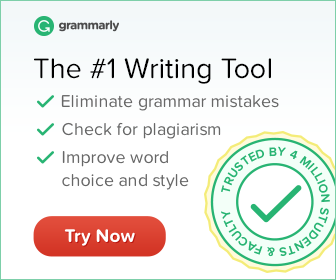 You can use Grammarly – Best Plagiarism Checker & Proofreader for checking the originality of your article. We respect individual work, and if your idea is derivative of someone else work, please provide proper references. Same goes for images that you will be using for your guest post. Also by submitting a guest post to BioChemAdda.com, you give us the copyright ownership of that post. Try to answer any query related to your article via comments. This will help you to get more exposure among your readers. Exposure and Improve your writing skills. Even you can add about your Guest Posts into your CV or Resume. What type of Articles can be submitted? You can send any article strictly related to BioSciences/Chemistry, which is useful for Biotechnology / Biochemistry / Bioinformatics / Microbiology / Molecular Biology / Life Sciences / Chemistry Faculties and Students. Any topic from Biology, Biotechnology, Bioinformatics, Genetics, Genetic Engineering, Molecular Biology, Biochemical Engineering, Genomics, Proteomics, Chemistry, Chemical Engineering and any other subject related to BioSciences. Do remember, please avoid submitting previously published articles if any. Avoid copying from other sites. How to Submit your Guest Post? If you have gone through all the guidelines mentioned above, you can send the article directly via the contact form given below, or you can email the article at biochemadda [@] gmail.com (MS Word format). If you would like to discuss the topic before submitting to us, you can Email us your queries at biochemadda [@] gmail.com. Please send a short pitch using the contact form given below. Please include an author headshot/company logo and author/company bio for the byline along with any submissions. In case if you have any query regarding guest posting at BioChemAdda.com, do let us know via contact form given below. We request our readers not to submit the original manuscript; currently, we only accept informative and non-commercial articles. If you are interested in submitting articles containing backlinks to a commercial/business website, then we will consider those articles as sponsored articles and will publish only after receiving a fee of US $150 per article.